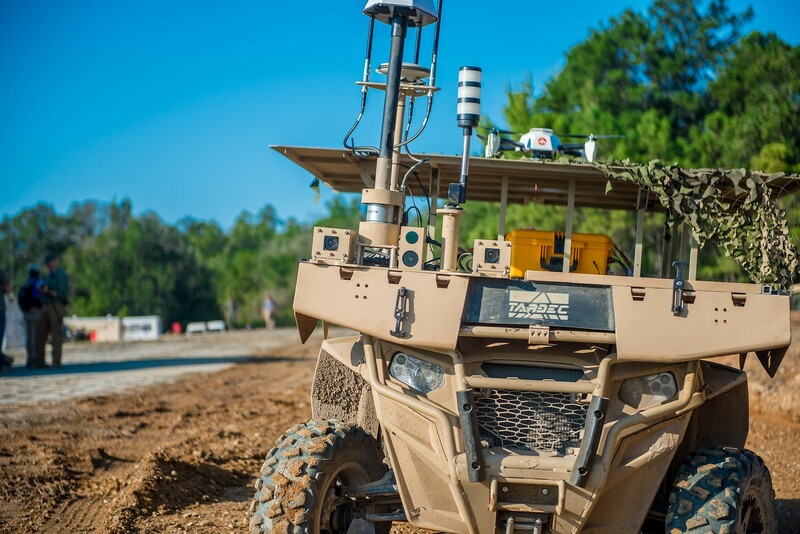 LIVONIA, Mich. -- Within five years, the Army would like to start testing remote combat vehicle prototypes, known as RCVs, which are unmanned, as light and as fast as a Stryker, but provide the same level of firepower as an M-1 Abrams tank, said Maj. Alan L. Stephens. 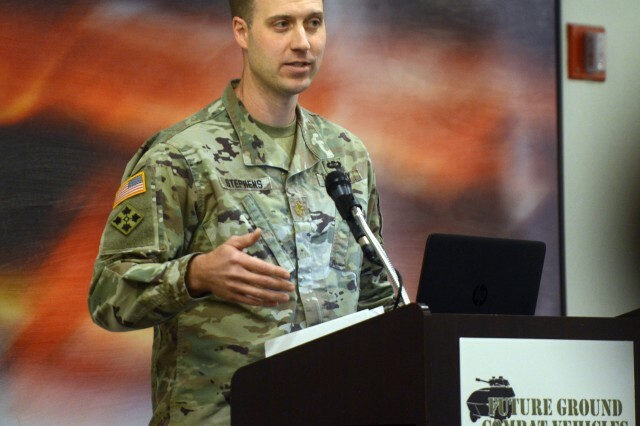 Stephens, an Acquisition Corps officer at the Mounted Requirements Division of the U.S. Army Maneuver Center of Excellence, spoke at the Future Ground Combat Vehicles Summit here, Nov. 30. 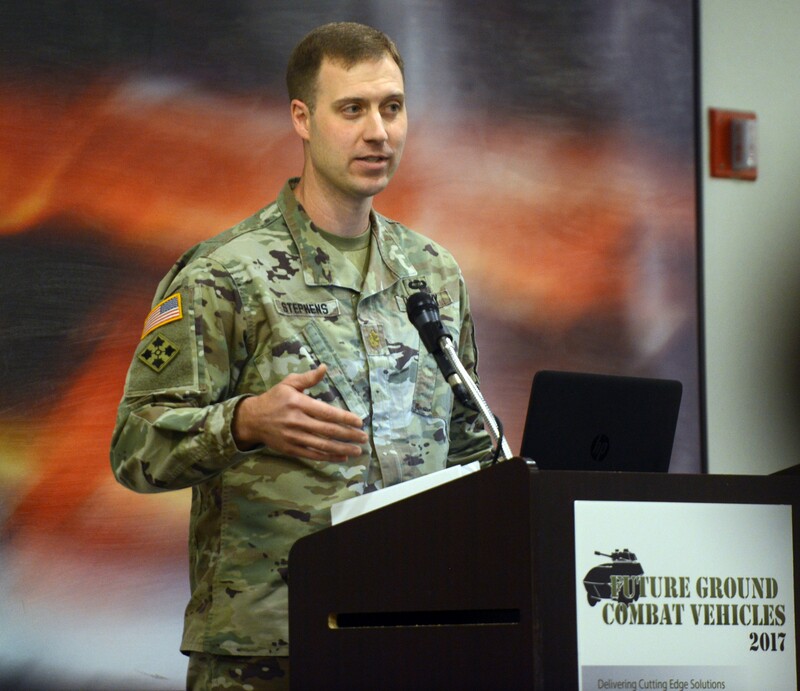 While the holy grail is the Next Generation Combat Vehicle, he said the Army thinks it can more quickly field a limited number of RCVs, and importantly, the results of that testing could help inform the requirements for the NGCV, which is slated for fielding in 2035. Instead of a traditional program of record, Stephens said the plan is to buy a limited quantity of RCVs or components that could be used for RCVs, then let Soldiers put them through their grueling paces at the combat training centers and various test sites and proving grounds. The analysis that result from that and Soldier feedback would then be used to inform requirements for the RCV and later on for the NGCV, he said. A capability development document for the RCV could be written as soon as 2022, he added. RCVs will have a number of advantages over the Abrams, said Stephens, who has a background as a systems engineer. For one, the RCV will be unmanned. That means in a manned-unmanned configuration, the unmanned variants could go ahead of the manned to scout out the area, navigate through the most dangerous sectors of the battlefield and engage the enemy, while the manned vehicle would follow, he said. The current thinking for test configuration, he said, is two unmanned for every manned RCV, with the manned variant controlling the other two. But that ratio of 1:2 could change once testing commences and bugs are worked out. Eventually, he said, a 1:4 ratio could be likely. Additionally, he said, the term "unmanned" implies varying levels of autonomy. At the lowest level, for instance, a vehicle might have no personnel inside, but would be controlled by Soldiers through a tethered radio link. At the highest level, a vehicle might be fully autonomous, requiring artificial intelligence and neural networking -- something not yet achievable, but clearly on the horizon. Another advantage with RCV over Abrams is that it will be lighter and more maneuverable. That means, Stephens said, that it will be faster and could be airlifted, giving the brigade combat team commander and the combatant commander greater options in the battlespace. Since RCVs will be unmanned, that frees up a lot of space for direct and indirect fires capability, he said, along with a full suite of sensors and counter-unmanned aerial vehicle packages. An example of an indirect fire system, he said, is the 81mm mortar. Direct fire would be what an Abrams' main gun can deliver. Stephens said there's even discussions of teaming UAVs with the RCVs to provide over-the-horizon surveillance and reconnaissance. The modular, open-systems architecture design would by necessity include cyber protection and anti-jamming equipment, Stephens said. Daniel McCormick, deputy joint program executive officer for Chemical and Biological Defense, said he's excited about RCVs and other robotics vehicles, given the chemical, biological and radiological threats that are proliferating around the world, particularly on the Korean peninsula and in the Middle East. Existing sensors, like infrared ones, could double-down to not just detect the enemy's signature and dust but also the signature from biological and chemical weapons, he said. Unmanned vehicles would also afford force protection and increased standoff distance, he said, meaning staying out of reach of enemy fire. "We are near reaching parity with near-peer competitors on the battlefield," Stephens concluded, "so there's goodness in the RCV program." However, he added, a lot of developmental work still remains to be done to make lethality the same as the Abrams while lightening the platform so it's more maneuverable. "We're going to push the limit to get to initial requirement, but we don't want over-requirements," he added. Stephens noted that there are three Army commands involved with the RCV program, including the Armament Research, Development and Engineering Center; the Tank Automotive Research Development and Engineering Center; and the Communications-Electronics Research, Development and Engineering Center. He called on industry to help make the RCV a reality, and also suggested that testing could be conducted on surrogate vehicles, like the M-113 armored personnel carrier, that the Army would provide.